Measurements 8ft high x 10ft wide / 243.84cm high x 304.80cm wide / 2.4384 m high x 3.048 m wide. 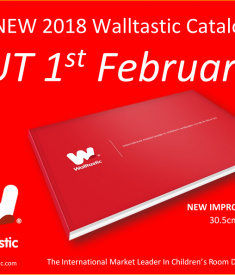 Welcome to Walltastic®, the market leader in children’s room decoration. With a fantastic range of unique, exciting and highly detailed murals to choose from. Walltastic® murals are wallcoverings that cover a wall area up to 8ft x 10ft, 243.84cm x 304.80cm. 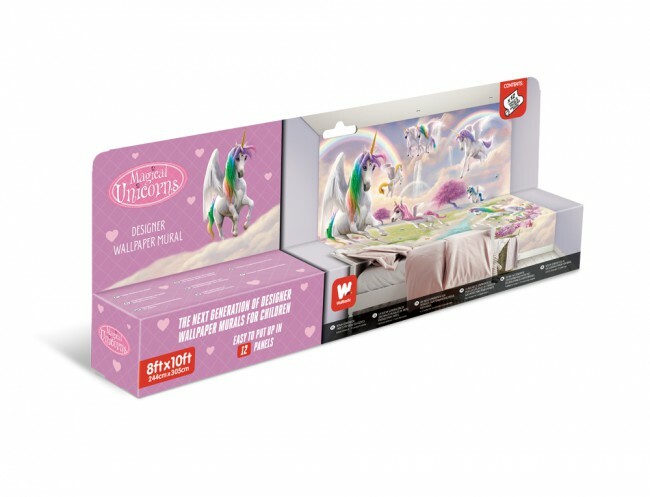 Each mural comes in panels which makes it easily applicable and flexible according to how much space needs covering and comes in a gift box rolled similar to Wallpaper. 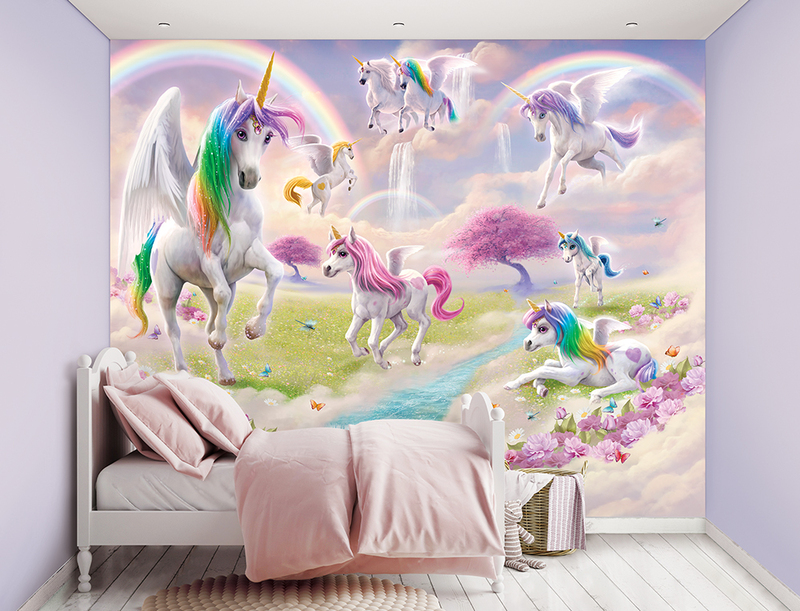 Inspire your child’s imagination, create a majestically mesmerizing room with this spectacular Unicorn Wall Mural. 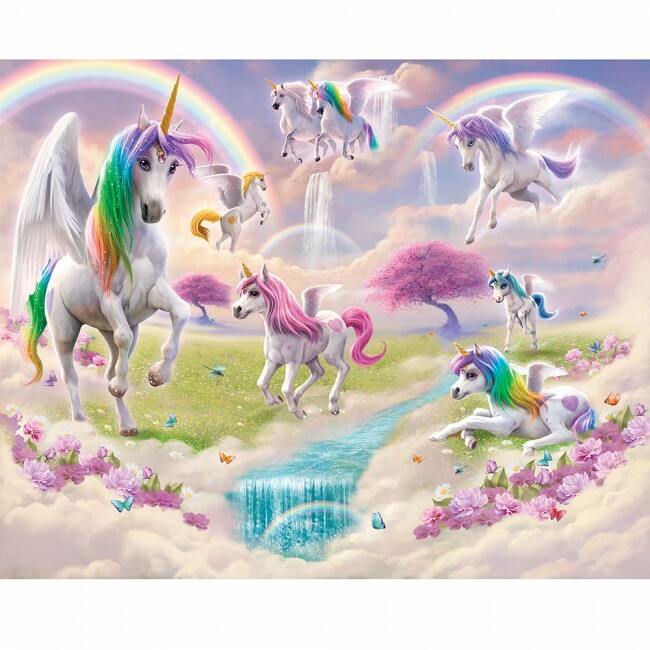 Featuring 8 of the most colourful and beautiful unicorns, Jewels, Rainbows, Butterflies and Flowers. 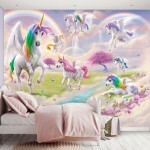 Everything you need to transform your child’s room into a magical scene. 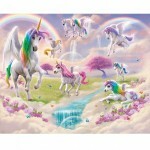 A must for any Unicorn loving child.